I have been so excited about today! 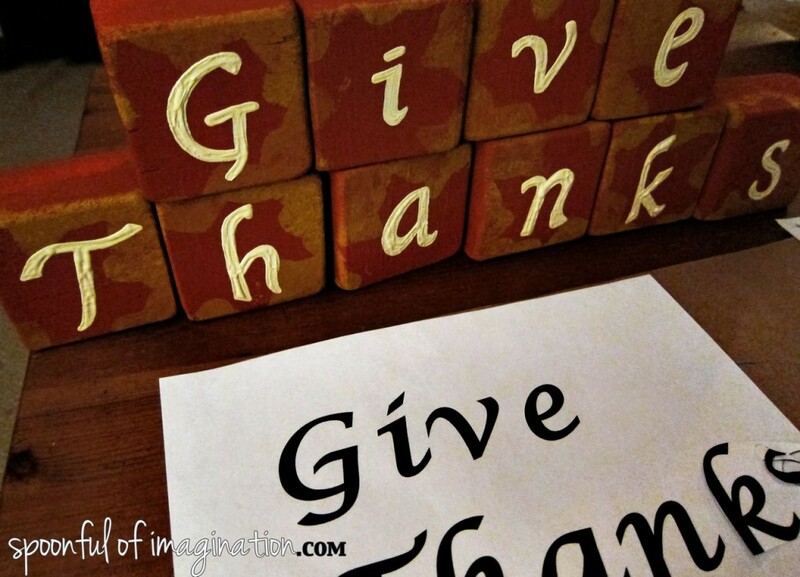 We are getting back to our Project Spotlight with these festive Give Thanks blocks. At the bottom of the post I’ll reveal our $50 Dancing Zebras giveaway grand prize winner! Last week, we started our thankful tree, and it has been a lot of fun. 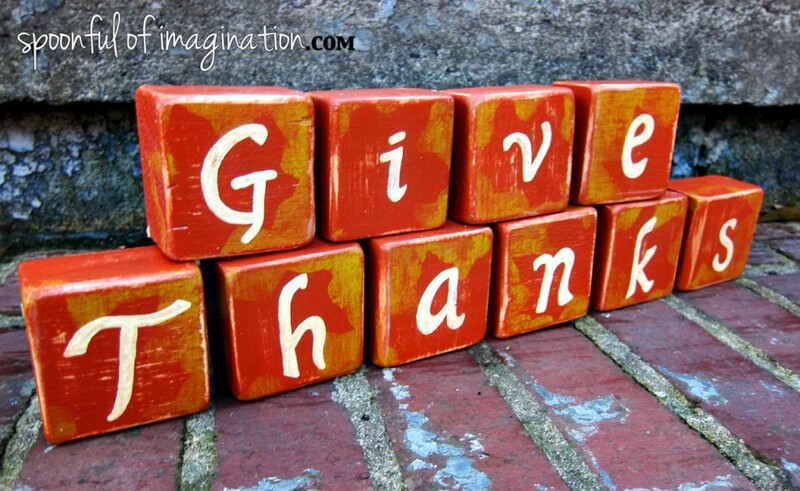 Every night at dinner, we go around the table and say one thing we are thankful for. 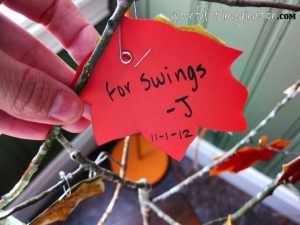 I write down these things and hang them on our “tree”. It has been so inspiring to hear what each child is thankful for and to talk about these things together. Even little Reagan is involved. I’m sure she has no idea what she is saying, but when we ask her what she is thankful for, she always says something. One of my favorites was when she screamed “Charleigh” this week. Charleigh is one of her sweet cousins, who is in town visiting this week! We are so excited to spend some good time loving on this little girl. 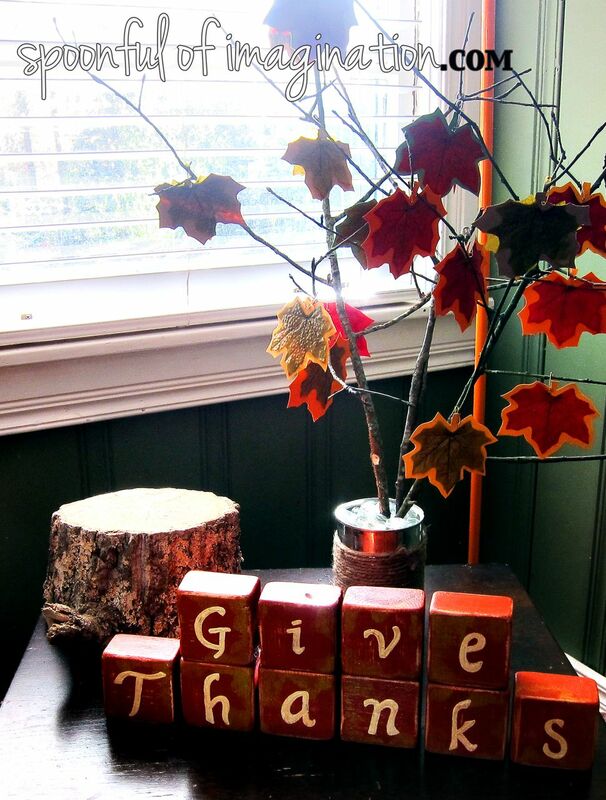 I wanted to make some blocks to put in front of our tree that would help remind us all day, and not just at our dinner table, to give thanks. 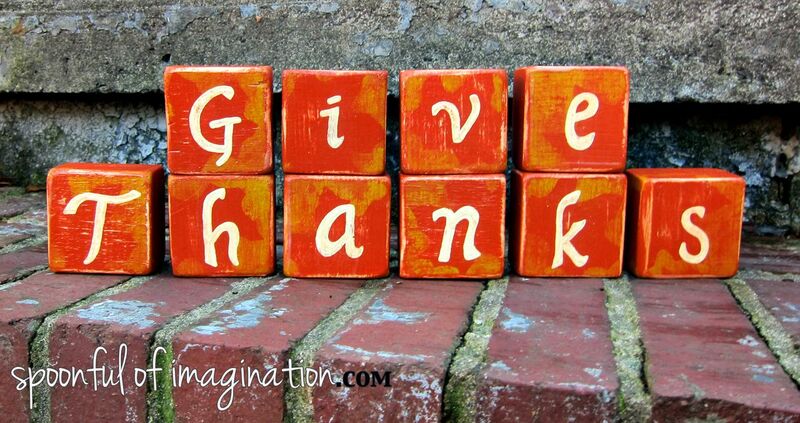 Here are the steps with on I came up with our give thanks blocks. I started by getting a 2 x 3 board from Home Depot and measuring off 2″ slots. I cut along those measurements and ended up with a bunch of rough blocks. 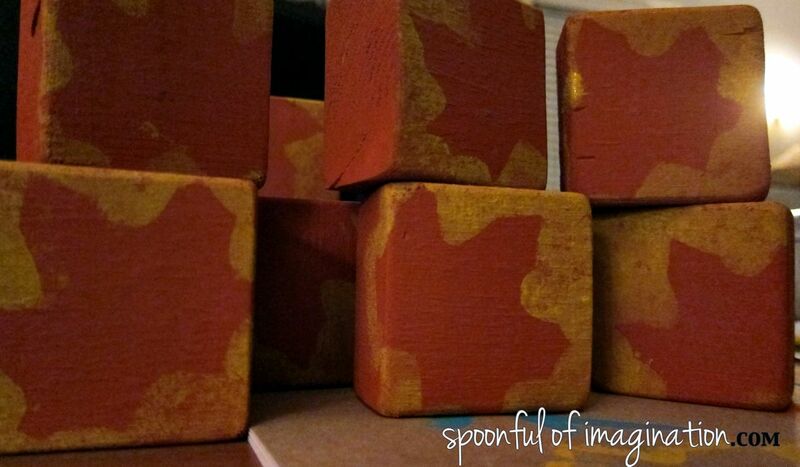 I sanded the blocks till their edges were smooth, and then I painted them a pretty fall color. After they were a nice burnt orange, I decided I wanted to have a leaf outline on them as a watermark behind the letters. 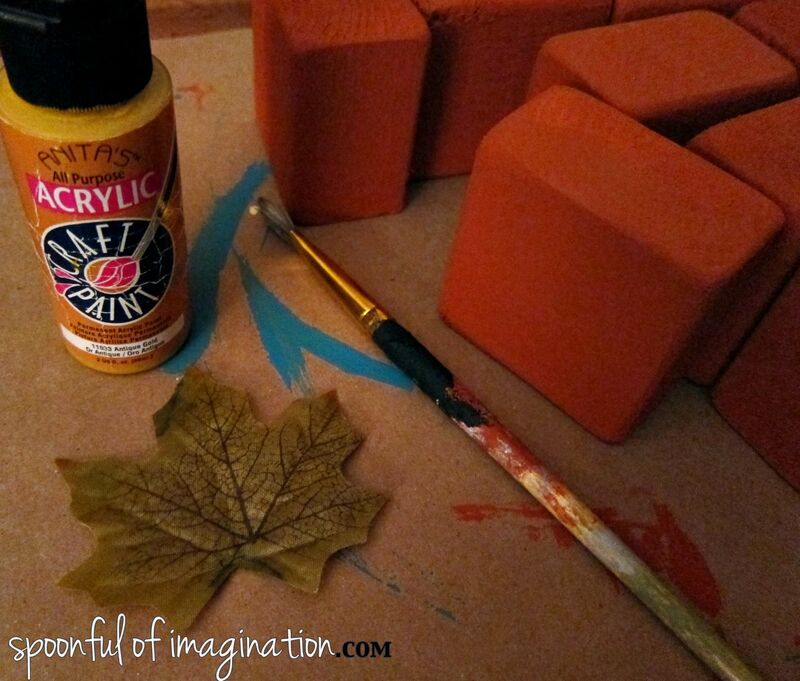 I made the leaves wrap around the blocks and painted them, rotating at different angles, with parts of the leaves “falling off” the block. I love how they came out. 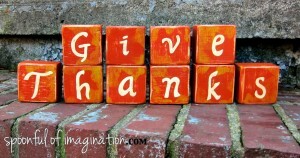 Next, I wanted the blocks to say “give thanks”. I am not the best at hand painting fonts, but I decided to give it a try with this project. I printed out my ideal font, and eye-balled the letters. 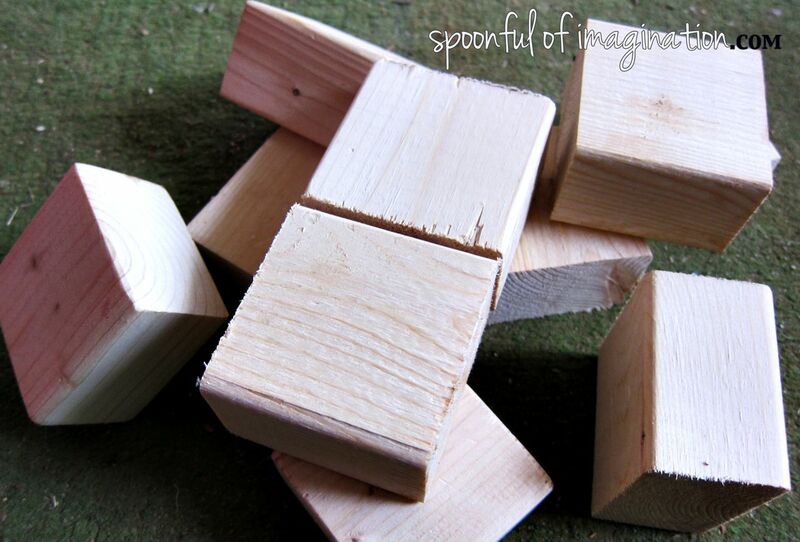 To finish them off I lightly sanded around the blocks to give them a more vintage look. 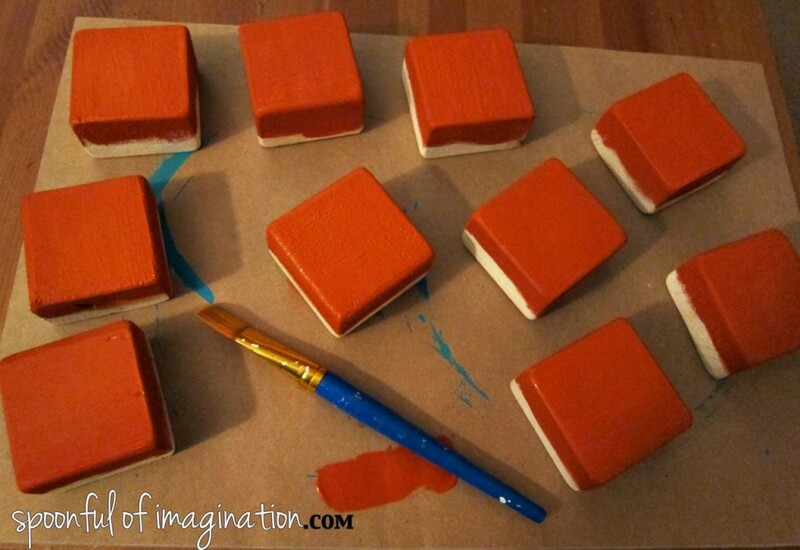 Finally I gave the blocks a coat of Mod Podge to seal everything with a slight sheen. They aren’t perfect, but I think they came out cute! I love how they look in front of our tree. 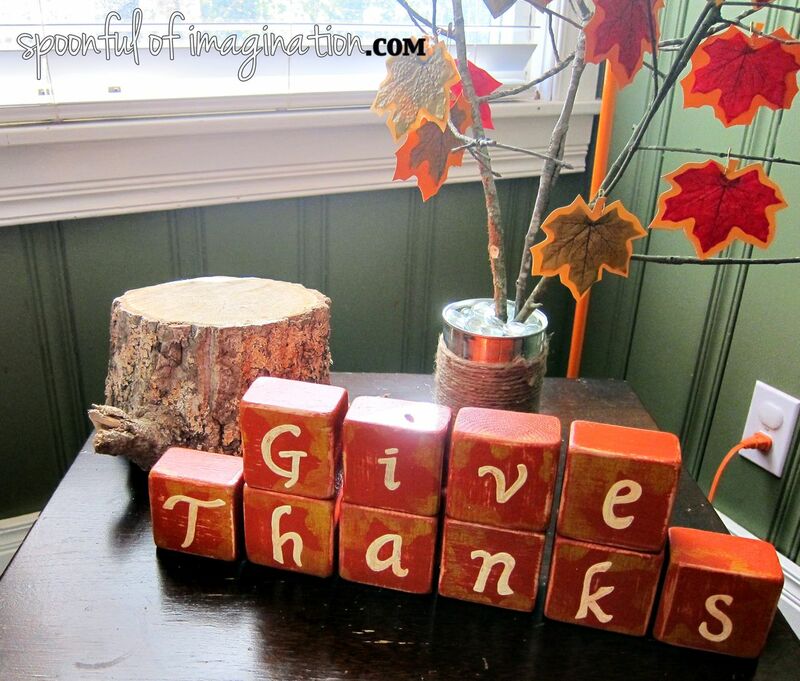 Feel free to give these a shot for your Fall decor! 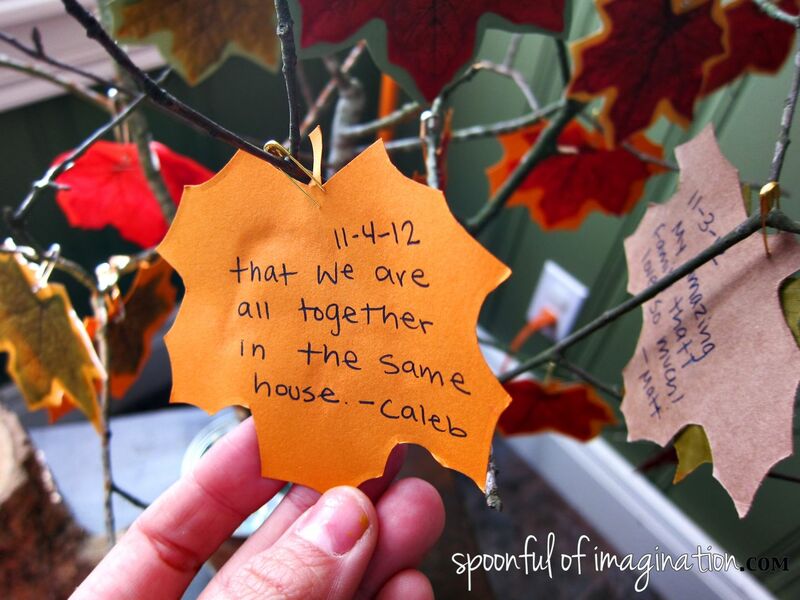 What’s a special thing you do around your house to celebrate the Thanksgiving season? Ok, it’s the big moment we’ve all been waiting for! Drum roll, please. 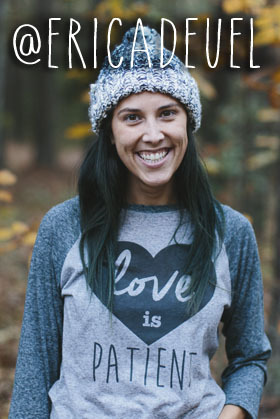 The Grand Prize winner of the $50 Dancing Zebra Giveaway randomly chosen by Rafflecopter is, Kali Mallard! Congratulations Kali! I will be in touch with you on the details. In the meantime, you can go to my store and start window shopping for what you might like to have! hahah YEA!!! So glad I could make that big of an impact!! I hope you have a great weekend!